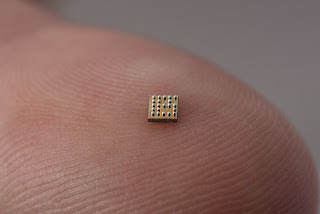 Watch maker Swatch and its partners EM Microelectronic and the Swiss Centre for Electronics and Microtechnology (CSEM) have developed a Bluetooth transceiver that measures just 2.5mm square and a deep sleep mode power as low at 75pW. The EM9304 is optimised for Bluetooth v5.0 low energy enabled products. The flexible architecture based around the ARC EM configurable processor core allows it to act as a companion IC to any ASIC or MCU-based product, or as a complete System-on-Chip (SoC). Custom applications can execute from one-time-programmable (OTP) memory, and digital peripherals (SPI or I2C) can be used to interface with external devices such as sensors, memory, display, or touch drivers. A floating point unit can be exploited to implement advanced algorithms such as sensor fusion. Included in ROM is a Bluetooth v5.0 link layer with a Host Controller Interface (HCI), a Bluetooth v5.0 stack with proprietary Application Controller Interface (ACI), several profiles, and over-the-air firmware (FOTA) updating routines. The Bluetooth low energy controller and host can be configured to support up to eight simultaneous connections. Secure connections and extended packet length are also supported per the Bluetooth v5.0 standard. The EM9304 includes a sophisticated on-chip power management system with automatic configuration for 1.5V or 3V batteries. Current consumption is minimized for all modes of the application utilizing an efficient scheduler and memory manager. Several memory configuration options allow for optimum performance for any given application. A stable, low-power sleep oscillator (RC or crystal based) minimizes power consumption while in a connected state. The PCB footprint and cost is minimized with a very low external component count and several package options. 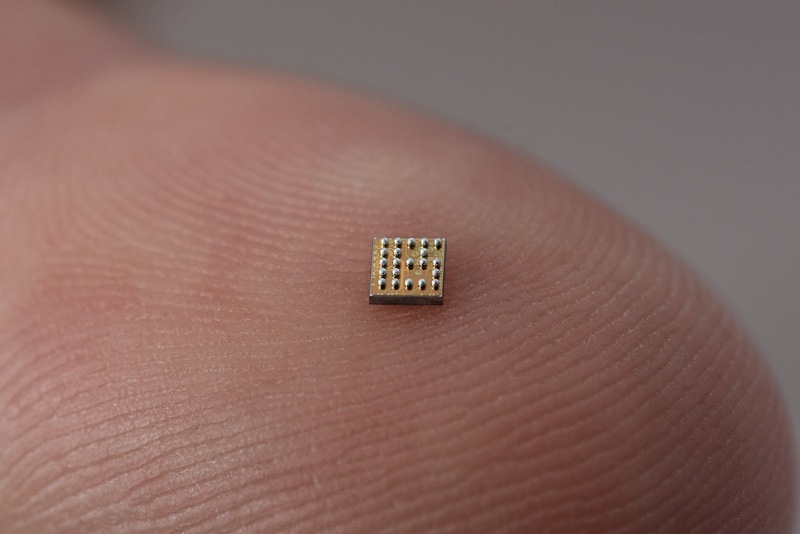 The circuit is offered in a WLCSP-21 wafer level chip-scale package, a plastic QFN-28 package, and bare die/ wafer form. The device and reference design is qualified over the industrial temperature range. Customer support for PCB design, and FCC/CE certification are available. A hardware and software development kit are available, including commercially available tools with IDE and debugger. A website and forum are also available to help with your custom developments.